Thanks to ChilLMama.com, we got to go to the awesome Indiana LEGO KidsFest at Indiana Convention Center on Nov 7th. 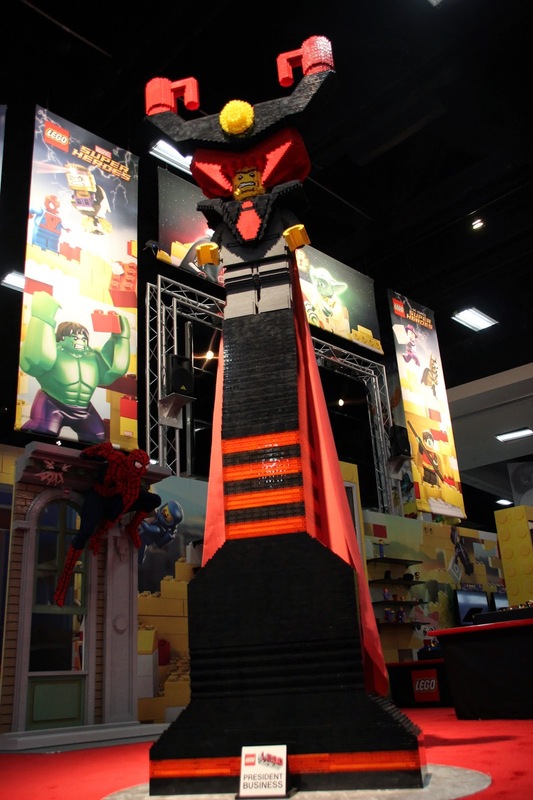 The LEGO KidsFest is a national touring exhibition of LEGO and all items related to LEGO for its fans of all ages. We had gone to LEGO KidsFest last year at Kentucky. They didn’t have a stop at Indiana then but this time they included Indiana to the tour. 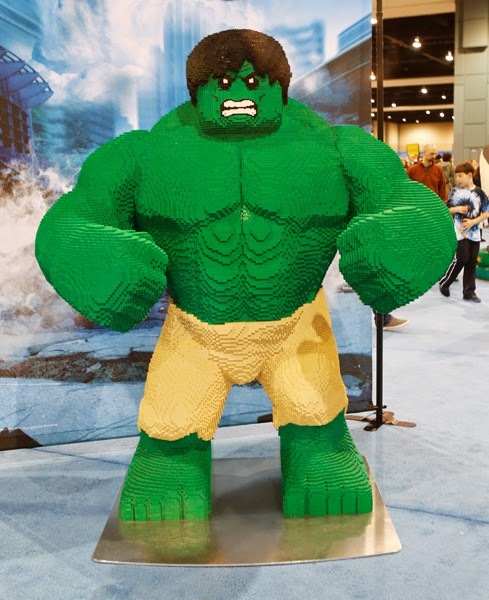 The LEGO KidsFest this year was a three day event in Indiana, with 4 ½ hours sessions each from Friday evening to Sunday. Disclosure: Thanks to LEGO KidsFest and US Family Bloggers for providing tickets for our reader giveaway and for review purposes. As always, all opinions are our own. Click here for full info on upcoming stops on the LEGO KidsFest Tour. We had gone for the Friday evening session and I must say it was awesome. Our family has been faithful LEGO fans. My boy enjoys building LEGO sets and if he is given a choice of presents, he will opt for LEGO. My daughter is only 3 but she is already into LEGO and LEGO Friends sets. The LEGO KidsFest was set up inside the Indiana convention center and was HUGE. They set up different stations with various activities and games. As you enter the arena, we first checked in the yellow tent in the front for Lost Kids. Parents can grab tags and write down names and phone numbers on the kids in case they get separated inside. Trust me, it is very helpful. I must have heard at least 10 instances of parents being called out to come to the station to get their lost kids! The whole area is crowded with kids and parents alike. Since we had visited LEGO KidsFest last year, we got a special card in the mail this year which said to give that card at the reception to get a free and unique gift. Turns out, we got a special LEGO Club mini figure! Also right at the front, they had LEGO Movie characters Emmett and Wyldstyle! We got the opportunity to click some pictures with them. The coolest thing about LEGO KidsFest, you can see several models built out of LEGO bricks for display! They had Emmett, Wyldstyle, Batman, characters from Stars Wars, Super Heroes, Super Villains and so much more. We clicked so many pictures with these models. Before we went to the LEGO KidsFest, we had studied the map that was available on line. This was a tip I picked up from last year. This year, we noticed there were four stations that offered games. The cool thing about these stations is they give out free models as participation gift. We were sure to hit these stations first. The first one was the pizza building station where kids had to work in teams of 6 and take part in relay like race to build a pizza. They had to run and grab pizza toppings (made out of LEGO of course) using just tongs and run back to their table and build a LEGO base pizza crust. Once done, they produce their pizza and get a prize! It was fun. They also had a game station where kids can shoot down LEGO Movie characters using guns built using LEGO Creation Nation. Something that was not there last year is a giant US map drawn on the floor and kids get to build anything they like and contribute to be added to the map. Since we went the first day, the map was looking a little sparse but it was getting gradually filled up! Kids get a CHIMA set as a prize for contributing. Another cool thing that was new this year was the photo booths. There were two photo booths where we can take pictures as keepsakes and it was free! We loved it so much. One had Spiderman built out of LEGO hanging on top of a window and other was with LEGO Princesses. We also got to experience LEGO’s new game LEGO Fusion where you get to build a one dimension house, scan it on iPad and make it into a 3-D house for the game. It was pretty cool. Kids also displayed the houses they built. Most stations had tables or areas where kids (or adults) can get to display their creations. My son built a space pod, a Hero Factory model and much more. There is also a large brick pile right in the middle of the arena where kids jump and play and build right in the middle of the pile of LEGO bricks. Lastly there is a Master Builder Academy session or station, where kids get to meet and talk to a master builder. Master builders are people who work for LEGO and get to build models for a living! The kids had so many questions for the master builder and also master builder shared tips to build successful models. There are many more stations that are not included in the review here but nonetheless fun, like a diorama of the LEGO city with the tiniest details included or the Teenage Mutant Turtles wall mural made entirely of LEGOs. They even had DUPLO blocks and separate stations for the little tots. Good thing they also had several food stations around to help fuel the little bodies when needed. At the end of 4 ½ hours, we sure were exhausted but were pretty happy to have experienced the LEGO KidsFest this year. 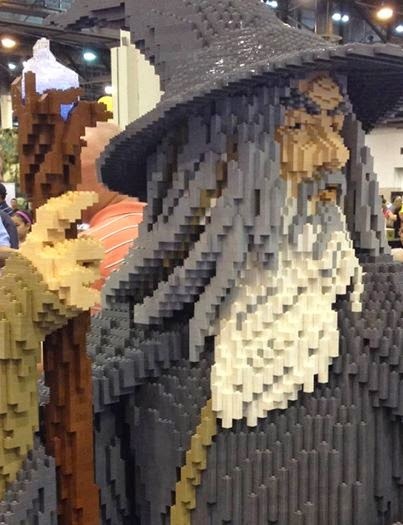 We loved everything about it and sure look forward to next year’s LEGO KidsFest. Disclosure: Once again, thanks to LEGO KidsFest and US Family Bloggers for providing tickets for our reader giveaway and for review purposes. As always, all opinions are our own.